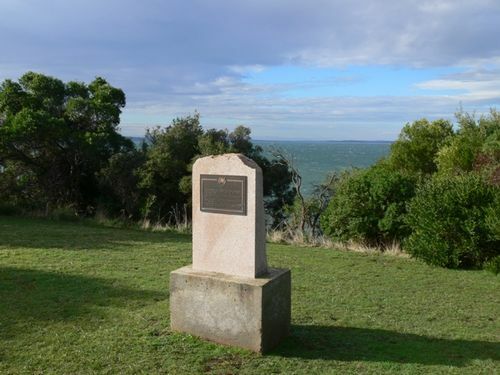 An Australian Bicentenary plaque commemorates the visit to Westernport by Lieutenant James Grant in the brig, "Lady Nelson", and the naming of Lady Nelson Point. To commemorate the visit to Western Port by Lieut. James Grant in the brig, "Lady Nelson" on the 21st March, 1801 , and for the naming of Lady Nelson Point. Unveiled by : Sir John Knott, A.C., C.B.E., on the 19th February. 1988. Erected by the Phillip Island Bicentennial Committee and the Phillip Island and District Historical Society. An Australian Bicentennial Project with financial assistance from the Commonwealth Government and the Shire of Phillip Island.